PR Technology is hosting our October club night at their workshop in Brookvale. Come along to see the finishing touches being put on the first Porsche to enter the World Time Attack Challenge in Pro Class. Built by PR Technology, designed by a Formula 1 Motorsport engineer, the RP968 will be driven by two-time Australian GT Champion David Wall (who might just be making a special appearance on the night). 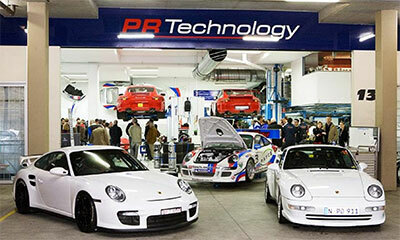 PR Technology is the leading independent Porsche specialist and one of the largest and most respected Porsche workshops in Australia. They offer warranty servicing, upgrades, specialist race preparation and restoration of classic Porsches. For members looking for a meal beforehand, head to the Seachange Brasserie, at Manly Warringah Leagues Club, 563 Pittwater Road (Corner Federal Parade) Brookvale. Our regular club nights are held on the second Tuesday of the month.